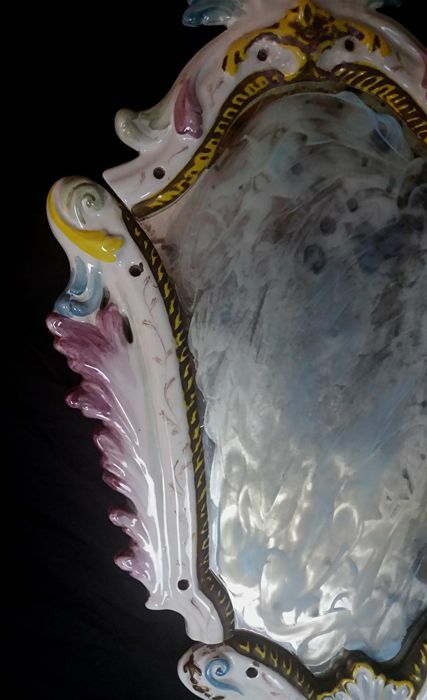 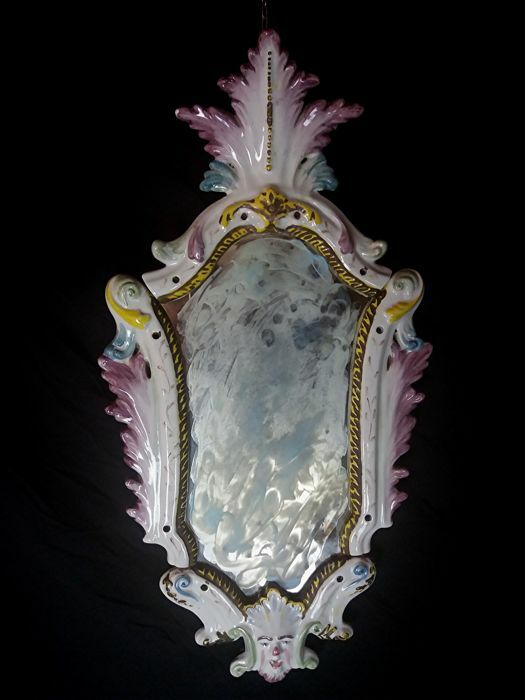 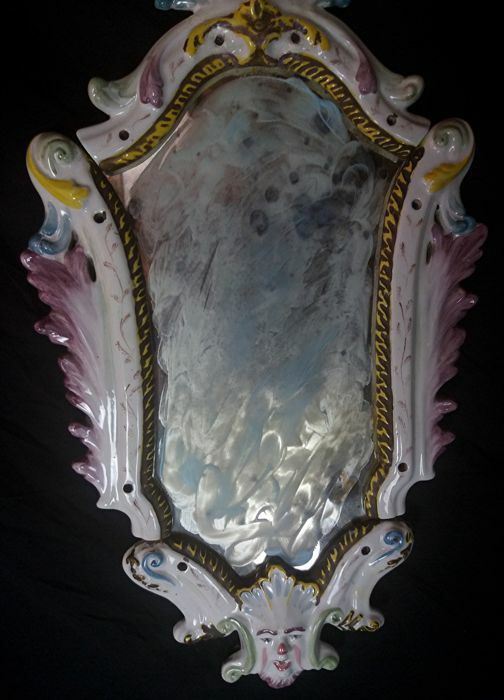 Antique polychrome majolica-ceramic wall mirror made in Antonibon style. 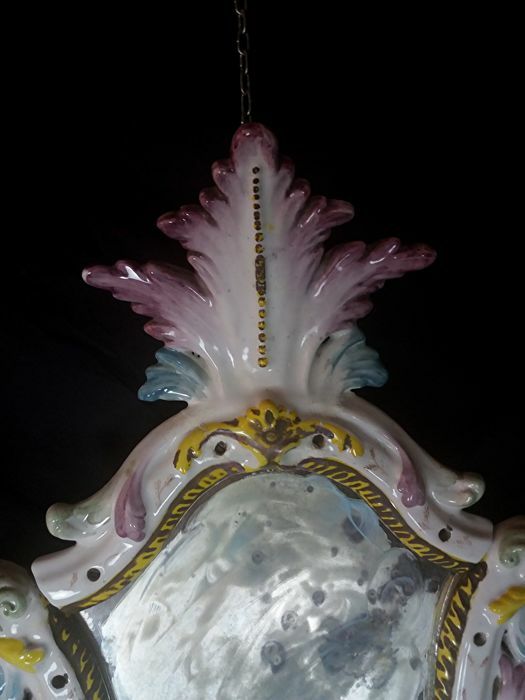 The frame is painted and decorated at the edges in the shape of acanthus leaves larger at the top, while the lower edge is occupied by grotesque masks. 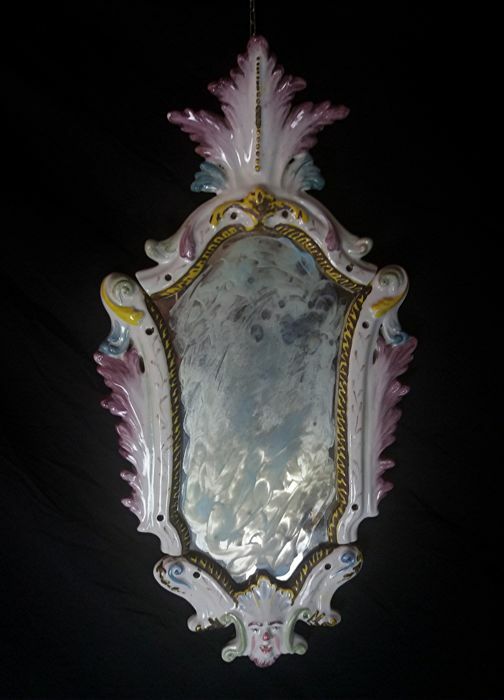 The dominant colour is enamelled white, the mirror is from the same time period. 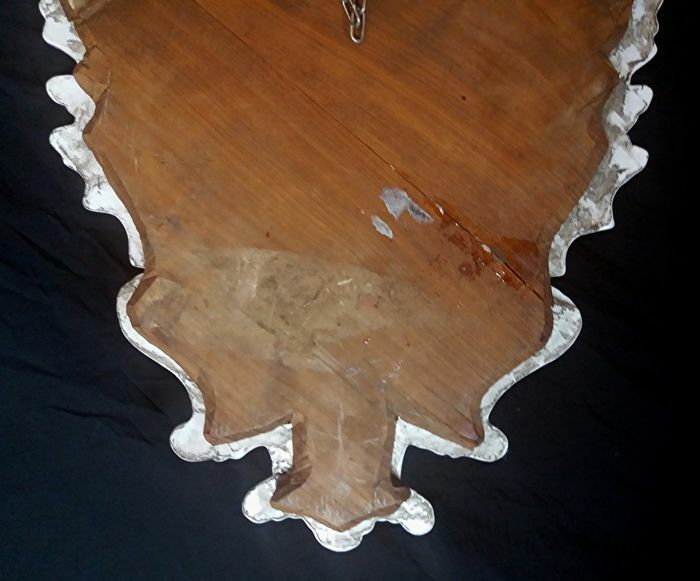 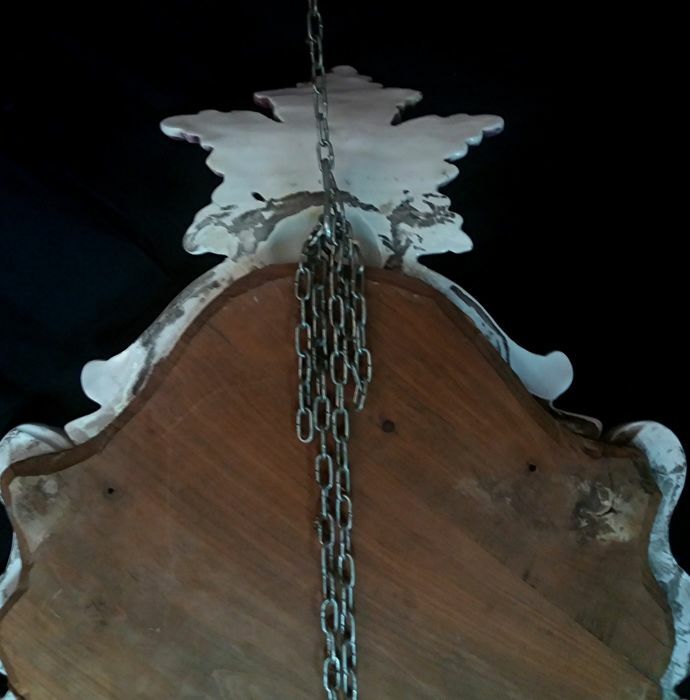 Original mercury mirror, the back is covered with original walnut wood. 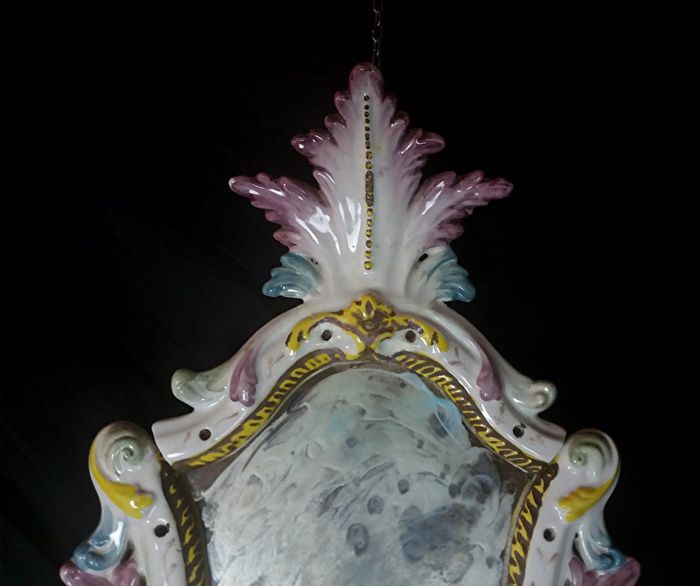 From Nove (Vicenza), Italy, dating back to the first half of the 19th century. 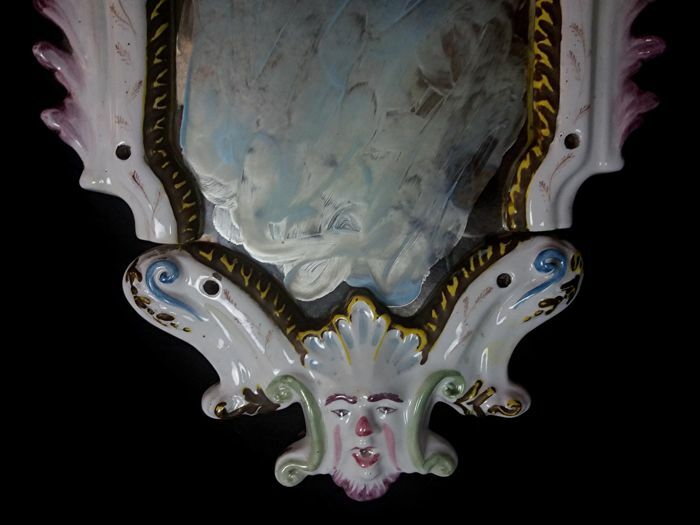 Three centuries of ceramics in Nove and Bassano. 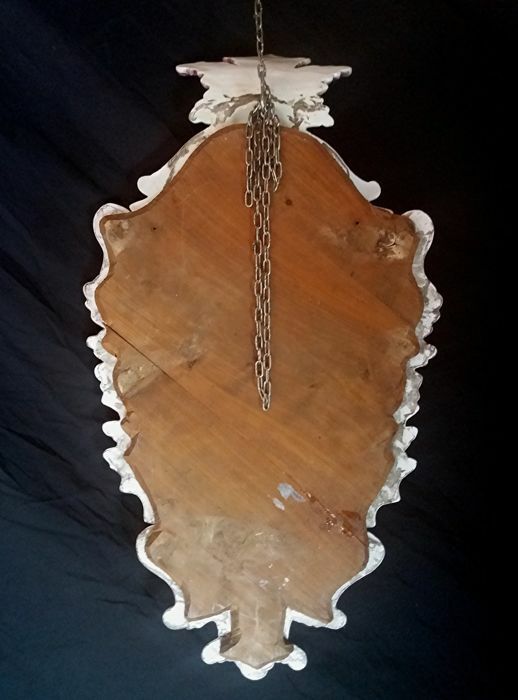 Measurements: height 63.5 cm, width 33 cm. 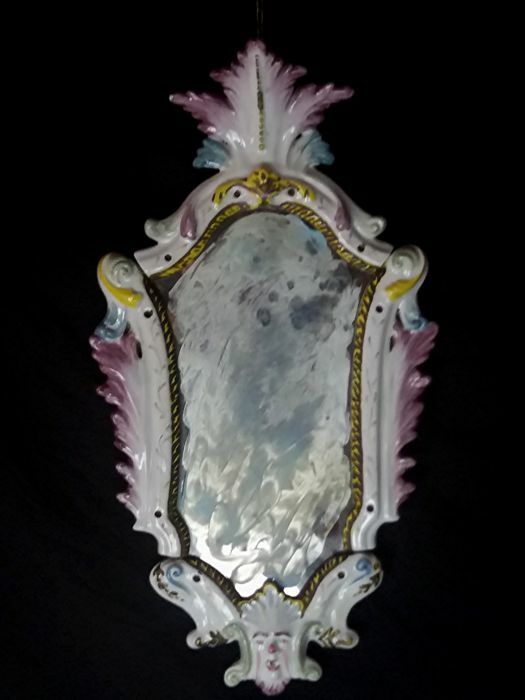 Brief history: The manufactory was founded in 1727 in the home of Giovanni Battista Antonibon’s father (current location), and it quickly became the most important ceramic manufactory of the Republic of Venice, so much that the “Savi della Mercanzia” council exonerated him from paying duties for 20 years. 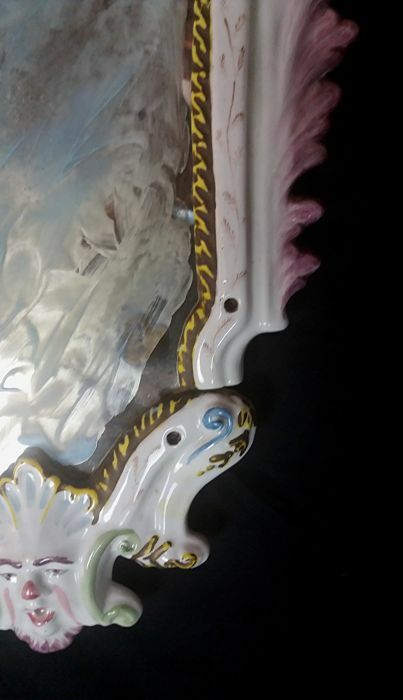 In 1762 his son Pasquale began producing porcelain, achieving different goals of great skill and authenticity. 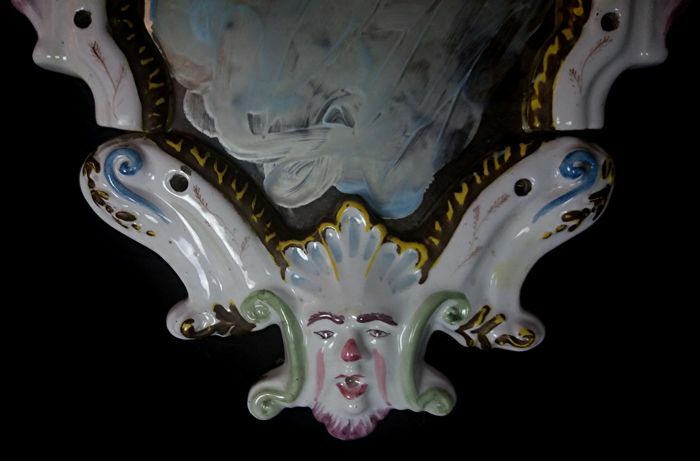 Since 1907 the company has been owned by the Barettoni family, which continued the legendary tradition by preserving hundreds of ceramic pieces in its ancient rooms. 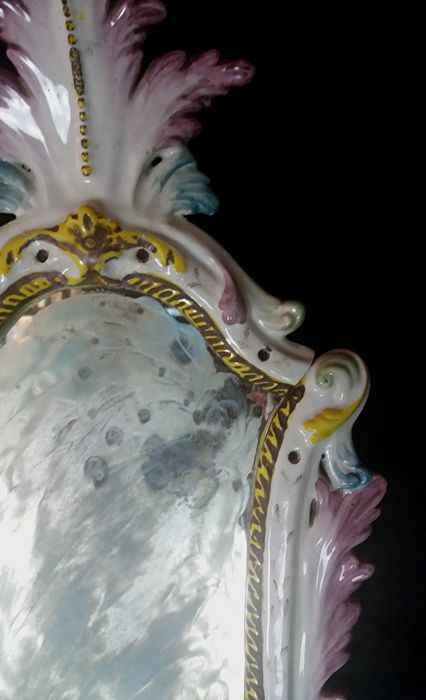 They are artworks of inestimable historical and artistic value.